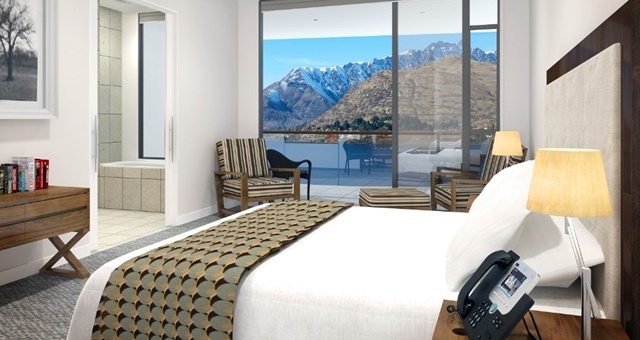 A survey of hundreds of travellers around the globe by The Rees Hotel Queenstown, New Zealand has shown that hotels remain by far still the tried and true favourite for both leisure and business guests. Two thirds (68%) of business travellers “always” book hotel rooms with 80% saying they’d “never” used Airbnb and 81% “sometimes” booking apartments when on holiday. Most of those surveyed booked more than 10 room nights a year. The two main reasons given in favour of hotel rooms over other choices was for their best fit with short stays “for less than three nights” and best for meeting the needs of “solo travellers” or those with a partner only. More than half of the survey said they will stay the same amount of hotel room nights in 2018 when compared to 2017, however 30% revealed they’ll spend 30% more on hotel nights this year. Apartments were favoured for extended stays, cooking facilities and the extra space. Hotel villas or residences were a best match for those wanting a “home away from home”. Peer-to-peer platforms like Airbnb were preferred by a 64%, but only when respondents wanted to “save money” when offshore and seeking a “more local experience”. For trips where there’s a mix of business and pleasure or a niche activity, like an event, again the survey favoured hotels. Most voters said they “always” book a room instead of choosing an apartment, hotel villa or residence or Airbnb in this regard. What frequently made the “worst” list for travellers included noisy neighbours, uncomfortable beds, no kitchen, extreme air conditioning, and inaccurate portrayals of rooms on booking websites. The poll also explored views about hotels’ sustainable practices, with 65% saying it was “very important”. The top initiatives travellers rated in order of preference were recycling and paperless communications, followed by not laundering towels daily. Other ideas suggested to improve sustainability included installing solar powered hot water, rooftop gardens with beehives, partitioned rubbish bins and avoiding the use of plastic straws. Mark Rose, Chief Executive at The Rees, said: “It’s encouraging to see that our focus on having an excellent service ethic and commitment to sustainable practices is so well aligned with what guests want. “This survey clearly underlines that guests want great service when they are on holiday or travelling for work. We have put a huge deliberate effort into giving our team the skills and offerings necessary to consistently add that little bit extra” says Rose. The Rees also delivers on the sustainability front: having launched its own apiary operation on-site last year, built a local wine and food supply channel, gained recognition from the industry for its rubbish recycling practices and operates one of the few electric car charging stations at New Zealand’s most popular tourism resort.